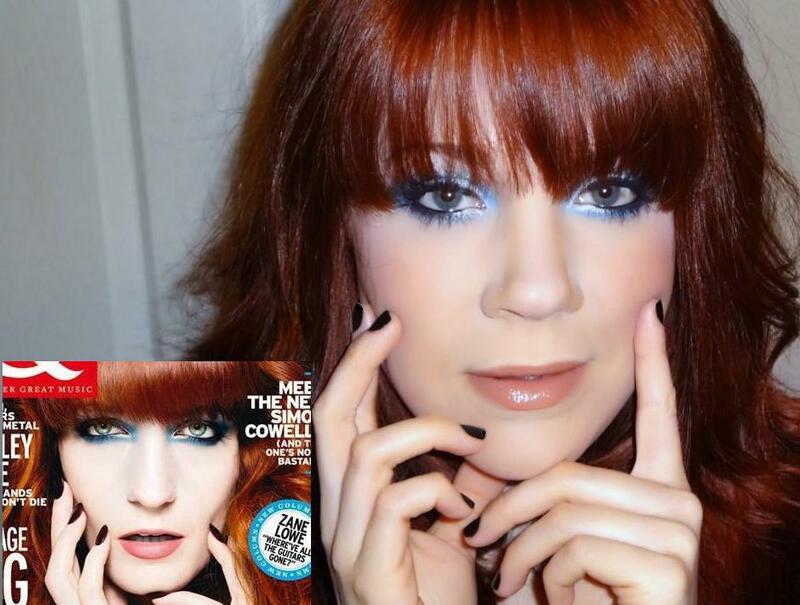 This is another submission of mine for the celebrity makeup look contest. For this week, I am doing a Florence Welch look that I came across and adore. I am so touched and moved by her music. She is an inspiration to me. I love this look, I hope you do too!! 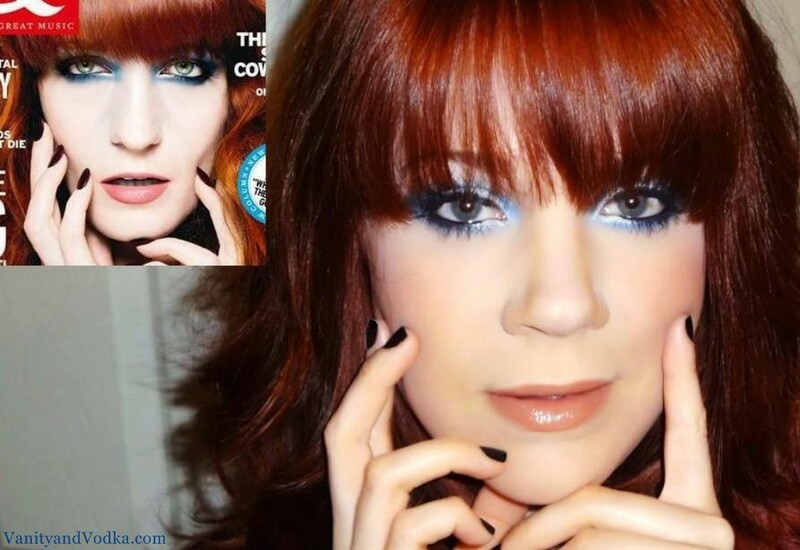 For this look, I did a blue/black smoky eye with white accenting on the inner corners. I used a heavy black liner on the upper, lower lid, and waterline. I kept the cheeks light, and used a pale lip color to match the photo as best as I could. Wow! I was thinking it was you on all pictures:)! How cool, it is no difference in the quality of make up, you did a great job! Ha ha ha!! Thank you so much!! I appreciate that! YAY!!! I love them/her too!! !I agree....I love this look, too. If I can say that without sounding, well, vain.